Each card has been graded NM 7 or NM-MT 8 by PSA. 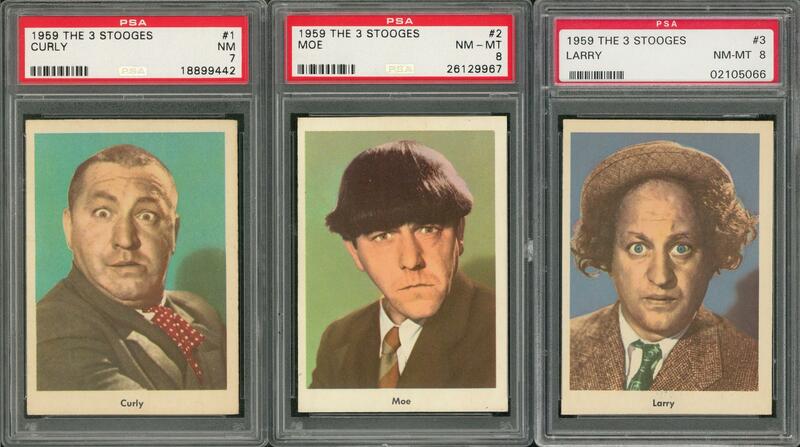 Presented are the first three cards in the enduringly popular "Three Stooges" production issued by Fleer in 1959. 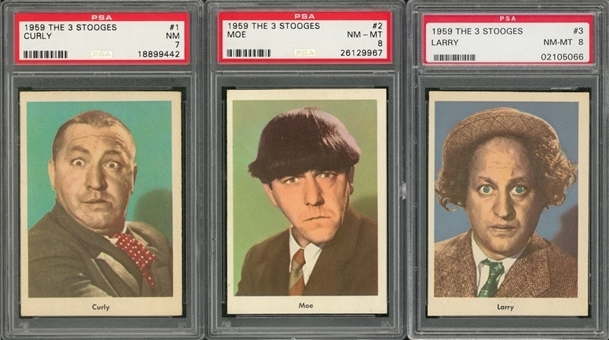 The entertainers made millions of people laugh with their brand of slap-stick comedy, and these condition-sensitive portrait depictions act as the prelude to the 93 "joke scene" cards that fill out the classic gum card release. 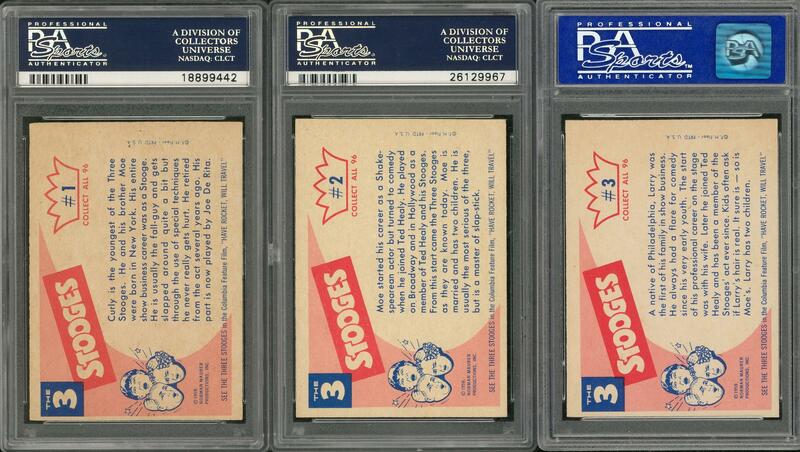 The offered trio - with their bright, white-stock backs - includes: Graded PSA NM-MT 8: 2 cards w/#'s 2 Moe and 3 Larry; PSA NM 7: 1 card #1 Curly. Very pleasing Near Mint to Near Mint to Mint condition throughout.